All charges have been dropped against Ghoncheh Ghavami, a British-Iranian woman who was jailed following her arrest for allegedly protesting outside a volleyball match in Tehran, according to campaigners for her freedom. 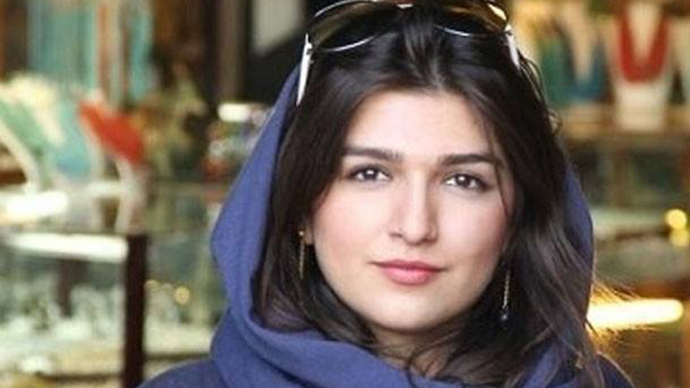 Ghavami, 26, was jailed in June 2014 after trying to attend a men’s volleyball game in the capital. It is not illegal for women to attend games, but authorities effectively banned it in 2012. Initially she was released, but was re-arrested when she came to the police station to collect her belongings. The prosecutor’s office in Tehran has now agreed to close her case, and drop the charges of “propaganda activities against the regime” and “contacts with opposition forces” under which she was held, the Campaign for the Defence of Civil and Political Prisoners said. They added Ghavami has agreed to pay a fine of 10 million tomans (£2,000/US$2,985)). However she is currently subject to a two-year ban on leaving Iran, which means she was unable to return to Britain to celebrate Iranian New Year over the weekend. While the Iranian authorities never publicly confirmed her charge or sentence, Ghavami’s mother, Susan Moshtaghian, said she had been sentenced to a year in jail. Authorities only confirmed they were investigating her supposed links to political opposition figures. She was released in November on a bail of roughly £20,000 after spending five months in jail. She has since been living with her parents in Tehran. During her detention, a campaign group gathered worldwide support on social media, with an online petition attracting more than 700,000 signatures. The hashtag #freeGhoncheh was shared widely. During the final weeks of her detention, Ghoncheh was on hunger strike in protest against the void of information surrounding her prosecution. Upon hearing news of the hunger strike, her mother spoke out in solidarity. “[Ghavami] said that she’s fed up with this 100-day uncertainty. It's been a while that she has no more interrogations but her detention has not ended. That she's been banned from visits for no reason for 19 days,” she said in October last year.